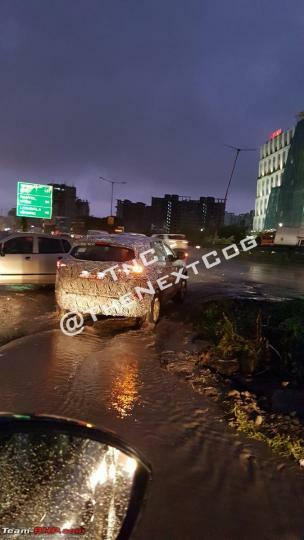 New spy images of the Tata Harrier have surfaced online. 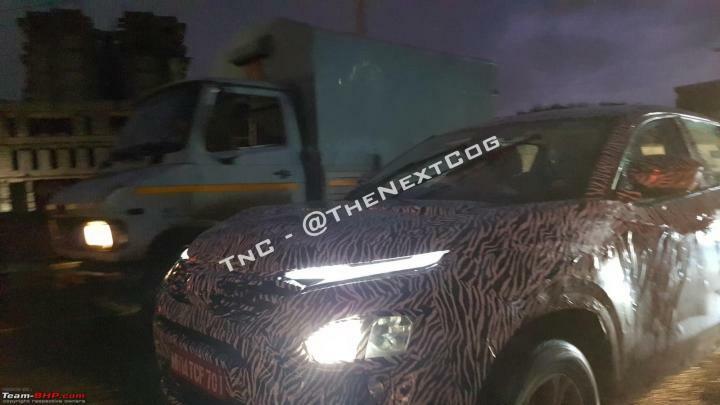 The test mule can be seen with what appear to be production-spec headlights with LED DRLs and tail lamp clusters. It also has a large infotainment screen on the centre console. 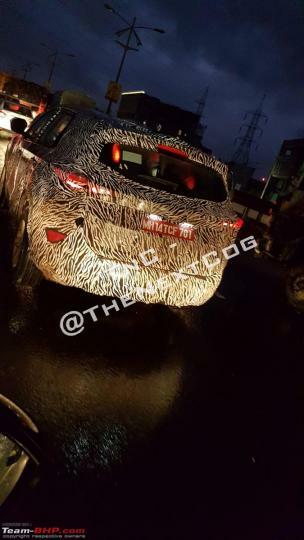 The Tata Harrier is likely to get a large 3-slat grille flanked by strips of LED DRLs. The main headlamp cluster is located under the DRLs. The test car is riding on 5-spoke alloy wheels and features wraparound tail lights and a raked windshield. 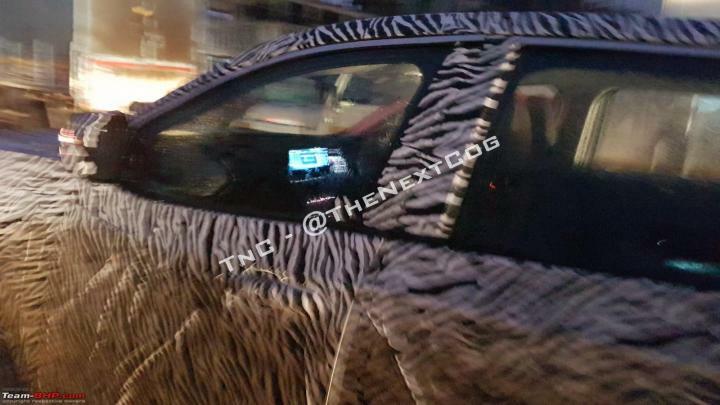 On the inside, the Harrier is likely to get a large floating touchscreen infotainment screen. The spy images suggest that the screen could be wider than the one offered on the Nexon. The Harrier is based on the Optimal Modular Efficient Global Advanced (OMEGA) platform. It is expected to be powered by a Fiat-sourced 2.0-litre, 4-cylinder diesel engine with 140 BHP. Transmission options might include a 6-speed manual and a Hyundai-sourced 6-speed automatic.